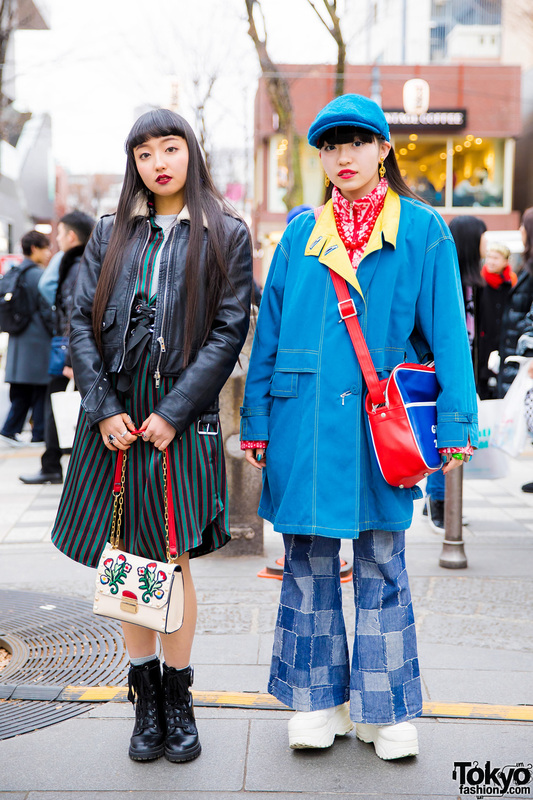 Harajuku girls in holiday sweater fashion w/ knit sweaters over plaid shirts, black shorts, white socks, lace up shoes with colorful patches, red-tinted sunglasses, and handbags. Harajuku duo in black and white streetwear with velvet jacket, t-shirt, cuffed pants and creepers, and t-shirt dress, boots, sling bag and accessories. 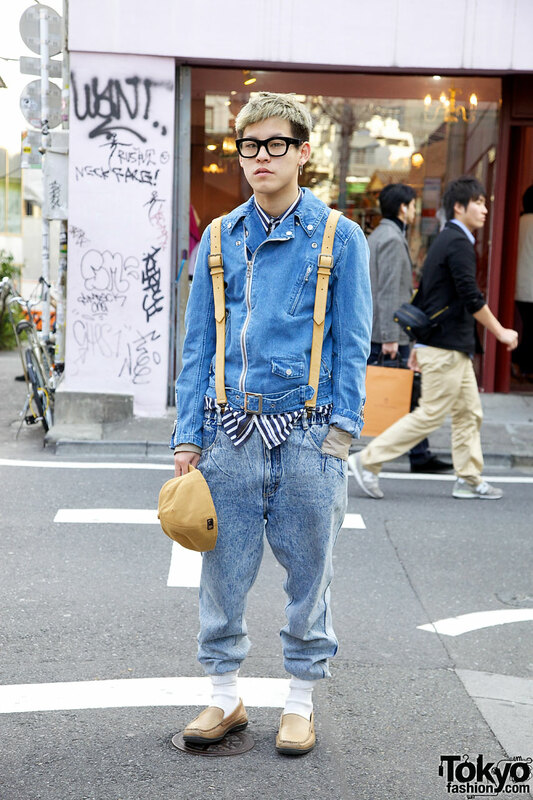 Cool guy with blond hair on top in stonewashed denim jacket and suspenders.